Appendicitis occurs when your appendix becomes so severely inflamed or infected that it causes pain, discomfort, and requires treatment that most likely includes surgical removal. Appendicitis prevention may be at the forefront of your mind whenever you feel a pain in your abdomen. So, are there any tips on how to prevent appendicitis? The condition can affect anyone of any age, though it is more prevalent in those between 15 and 30 years old. According to the National Institutes of Health, five percent of the population will have to deal with appendicitis at some point in their lives. In this article, we will take a look at possible appendicitis prevention methods. We will also discuss who is at risk for appendicitis and the changes you can make to your diet that may be able to help you. Can Spicy Food, Fruit Seeds, and Undigested Plants Cause Appendicitis? Most patients want to know how to prevent appendicitis. Unfortunately, you cannot. There are currently no known methods for preventing the painful and potentially fatal inflammation. That being said, some lifestyle factors do appear to reduce your chances of getting appendicitis. 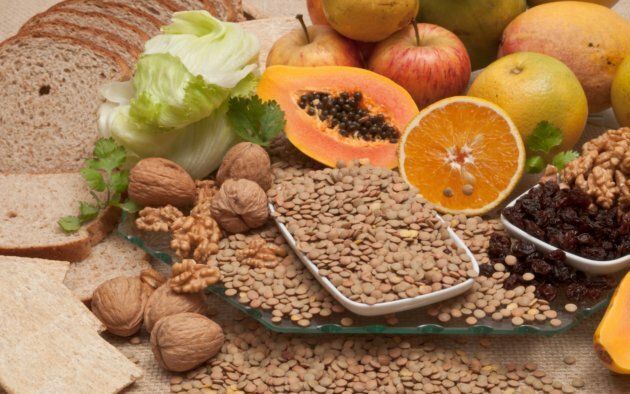 Eating a high-fiber diet might help you avoid appendicitis, as might exercise, vitamin supplements, and even changing your posture. While there are no foolproof ways to prevent appendicitis, there may be ways to avoid the condition. Populations with diets high in fiber have fewer cases of appendicitis. So, it would not be a stretch to assume that there are appendicitis foods to eat that could help avoid that medical condition. Eating a diet high in fiber may be one of the best ways to possibly avoid appendicitis. People who do eat a diet high in fiber are less likely to get appendicitis. Exactly why fiber can help you avoid appendicitis has yet to be confirmed by science, but there is a theory that it has to do with fiber’s effect on the body. Fiber helps with the digestion process by allowing food to pass through the body more smoothly. Instead of breaking down and absorbing dietary fiber, the body sends it along the digestive tract in whole. This not only helps to get the digestible nutrients to where they need to go, but it also helps move the waste through the intestines and out of your body. The idea is that, along with the waste, bacteria and other harmful elements that may cause appendicitis will quickly exit the body and not get a foothold that will lead to inflammation and infection. Along with adding these foods to your diet, supplements can be used in order to bring the amount of fiber up in your body. Along with adding more fiber to your diet, eating a more balanced diet may also lower your chances of appendicitis. Eating a diet low in saturated and trans fats—“bad” LDL cholesterol—and processed foods, and high in fiber, can reduce your chances of general illness and infection that may lead to an infection of your appendix. While this will not prevent appendicitis, the healthier you are, the less chance it has to occur. While the changes in diet could potentially help you avoid appendicitis, taking a few vitamin supplements also is not a bad idea. Vitamin supplements to consider are supplements with vitamins A and D. Vitamin A can help raise the white blood cell count, which helps battle infections throughout the body and vitamin D is a good vitamin for fighting bacteria. There are also a few lifestyle changes that you can make that may help you to avoid appendicitis. Adding more exercise and improving your posture may make a difference. Exercise is good for your overall health, including reducing the risk of cardiovascular disease, diabetes, and some cancers. In this case, it may also be good for your appendix. Exercise does two very important things. Regular exercise can keep the body healthy, making it harder for disease, infections, and inflammation to take hold in the body. Fewer infections for your body means a reduced chance of the appendix becoming infected. A good, healthy exercise routine will also cause you to sweat. This process could help get rid of excess minerals and flush out certain toxins from your system, eliminating possible causes of appendix infection. Improving your posture can help your body run more smoothly altogether. When you stand or sit upright, neither blood flow nor the food going into your stomach is hampered. It allows the system to easily digest food. Keeping the body in top form can keep the passing of infections in an out of the body quick or not even occur. What are the most common appendicitis causes? Appendicitis actually has multiple causes, which can include infection or inflammation as well as a blockage in the appendix itself. This blockage to the appendiceal lumen can be caused by stool, growths, and parasites. It can even be caused by trauma to the abdomen. An infection in the body, and especially in the gastrointestinal tract, can enlarge the tissue in the wall of the appendix and cause appendicitis, as can inflammatory bowel disease. Air pollution may also be a cause of appendicitis as some studies have noted that on high ozone days of air pollution, patients were approximately 15% more likely to be hospitalized for appendicitis. Unfortunately, sometimes the cause of appendicitis is completely unknown. It is this fact that makes the condition particularly hard to prevent and hard to see coming before it is too late and surgery is required. Old wives tales often implicate spicy food as a culprit, in addition to undigested fruit seeds. The truth is that neither has been found to cause appendicitis. It is true that some spicy foods are so hot that your guts may feel like a case of appendicitis, but these spices cannot cause infection in the appendix nor can they cause a blockage. What they can produce is indigestion, which may trigger extreme pain in the region where appendicitis often appears (between the breastbone and bellybutton). Therefore, it’s important to chew any spicy foods and fruit seeds well before swallowing, to aid the digestion process and prevent any possible blockages due to the size of the foods. Appendicitis symptoms are mainly pain and discomfort in the abdominal region. Depending on how inflamed the appendix is, the pain tends to be sharp and near the lower right side of the abdomen. The placement of the pain may vary a little depending on the age of the person, and in pregnant women, it may seem higher up the side of the abdomen than it should be. Abdominal pain or tenderness: This pain often increases when moving, coughing, sneezing or taking deep breaths. The pain usually starts in the center of the abdomen above the belly button, and then shifs to the lower right side of the abdomen. Appendicitis is serious business. If the inflammation is not caught before the appendix ruptures, it can lead to a variety of medical issues and even death. And while there are steps you can take such as eating appendicitis prevention foods and getting plenty of exercise to potentially reduce your chances of getting appendicitis, you may end up contending with it no matter what you do. The important thing is not to ignore the pain in your lower right side. If you catch it early enough, there is a chance that it may be treated with a simple course of antibiotics. At the very least, you may be able to catch it before the appendix bursts and you won’t have to deal with any of the issues that occur when that happens. “Appendicitis,” Cleveland Clinic, https://my.clevelandclinic.org/health/articles/appendicitis, last accessed September 8, 2017. “How to Prevent Appendicitis: Can You Avoid This Condition?” Mercola, http://articles.mercola.com/appendicitis/prevention.aspx, last accessed September 8, 2017. “How To Prevent Appendicitis,” Wound Care Society, December 1, 2016, http://woundcaresociety.org/how-to-prevent-appendicitis, last accessed September 8, 2017. “Symptoms & Causes of Appendicitis,” National Institute of Diabetes and Digestions and Kidney Diseases, https://www.niddk.nih.gov/health-information/digestive-diseases/appendicitis/symptoms-causes, last accessed September 8, 2017. “Appendicitis Diet: Can Foods Lead to This Disorder?” Mercola, http://articles.mercola.com/appendicitis/diet.aspx, last accessed September 8, 2017. Engin, O., et al.,“Can fruit seeds and undigested plant residuals cause acute appendicitis,” Asian Pacific Journal of Biomedicine, April 2011, https://www.ncbi.nlm.nih.gov/pmc/articles/PMC3609170/, last accessed September 8, 2017. Ipatenco, S., “Can Spicy Food Cause Your Appendix to Burst?” AZCentral, http://healthyliving.azcentral.com/can-spicy-food-cause-appendix-burst-19252.html, last accessed September 8, 2017. “Air pollution May Increase Risk of Appendicitis,” ScienceDaily, October 7, 2008; https://www.sciencedaily.com/releases/2008/10/081006102537.htm, last accessed September 29, 2017.”Symptoms & Causes of Appendicitis,” National Institute of Diabetes and Digestion and Kidney Diseases; https://www.niddk.nih.gov/health-information/digestive-diseases/appendicitis/symptoms-causes, last accessed September 29, 2017.